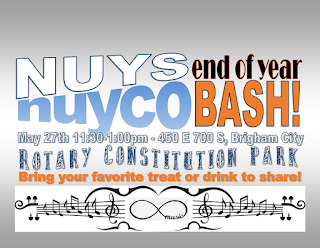 Northern Utah Youth Symphony - Brigham City, Utah, USA: Party Reminder! Don't forget our party tomorrow!!!! 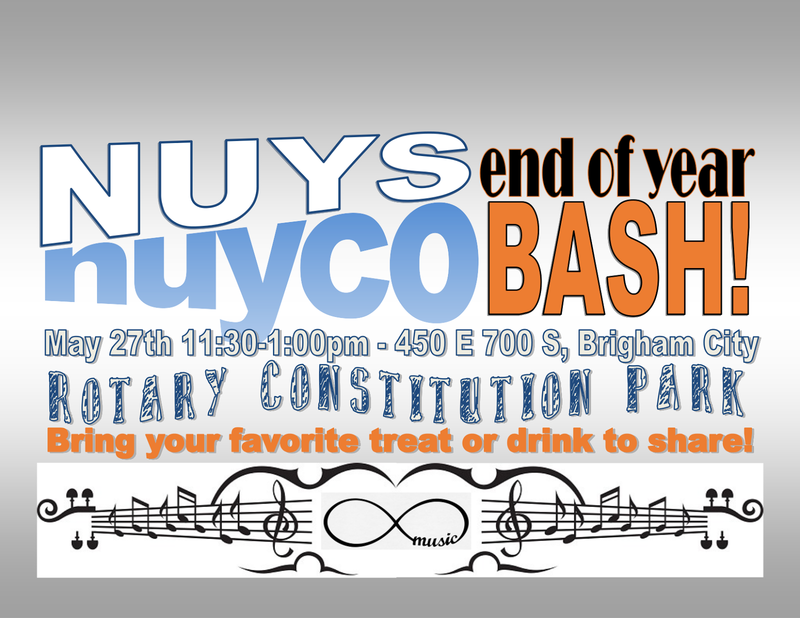 What: NUYS & NUYCO End of Year Bash! Bring your favorite treat or drink to share. And thanks again to Tia's mom, Jennifer Luther, for organizing this! I'm excited!